She's Fantastic: Sea Monkeys MOTHER! I love a good novelty toy. Especially a novelty toy based on a novelty toy. Sea Monkeys were first marketed in 1957 in response to the success of the Ant Farm from a year prior. 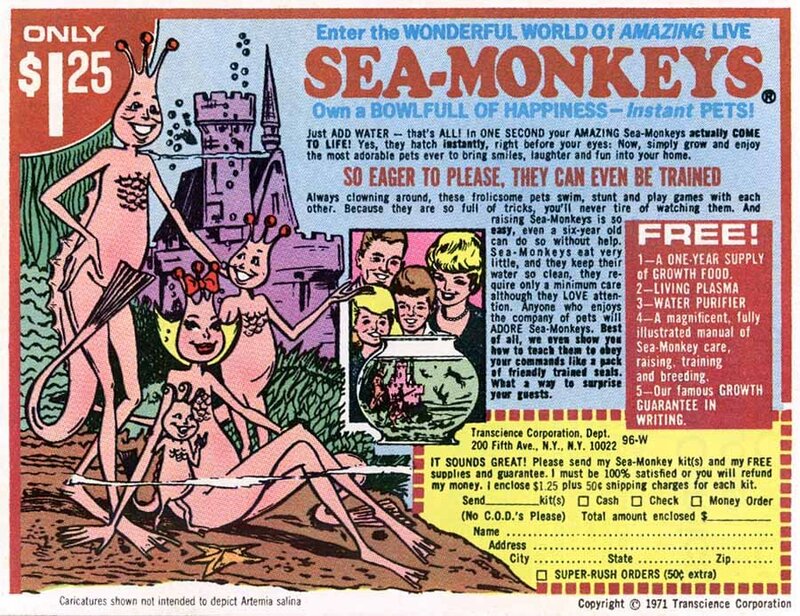 In those early days, they were marketed as "Instant Life" and didn't adopt the name Sea Monkeys until 5 years later in 1962. Then came many many years of comic book advertising. Harold von Braunhut, the creator of Sea Monkeys, estimated that he bought 3.2 million advertising pages in comic books each year (don't quote me! It's from Wikipedia!). I know I found the images of happy anthropomorphic underwater families inescapable throughout my youth in the 80's. I always wanted them so desperately but my father insisted they were a scam. 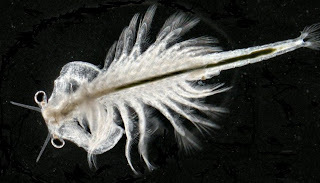 Then one year a classmate of mine did an experiment which involved multiple Sea Monkey tanks lined up on my gradeschool classroom windowsill. I was still enthralled, but I quickly learned that the illustrations that drew me in were a far cry from the gritty reality. 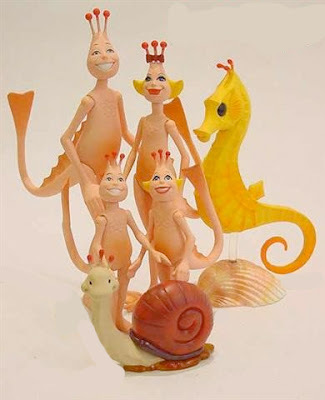 When I first saw these Sea Monkeys action figures from Majestic Studios I felt like such a kid again.. imagining a tiny undersea kingdom at my fingertips. I missed their original release in 2004 and first discovered them for very inflated price at a collectibles store. They were instantly put on my hit list. Unfortunately I soon discovered them to be exceedingly rare and pretty valuable on the secondary market (to the point where those original inflated prices didn't seem so steep anymore). It took me a while but I now have Mom and Dad and didn't have to break the bank in the process. The packaging is amazing! It's really funny and a total throwback to the original comic book ads. Majestic Studios seems to largely be a producer of 1/6 scale collector figures (dolls) of sci-fi and horror properties. The only other smaller-scale "action figures" I've seen from them is a Davey and Goliath set and Quisp (the old Quaker Oats mascot). So it seems that when they do venture into the action figure world, they tend to focus on nostalgic properties (with fantastic quality and attention to detail). Her tail is bendable and seems to be run-through with a heavy gauge wire. She is articulated at the legs, shoulders, and neck. 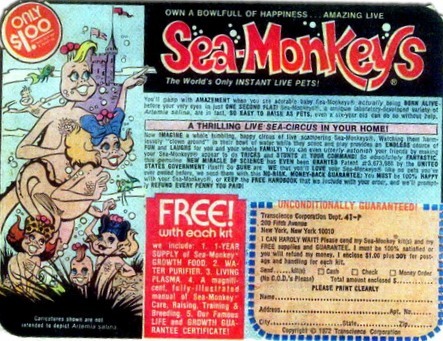 Here are three different classic Sea Monkeys ads that have appeared in numerous comics over the years. Here is a solicitation image from Majestic showing a Snail and a Seahorse. I've never seen any evidence of these on the market so they may be unreleased prototypes.